No, that's not a misprint. I meant to say 2013. 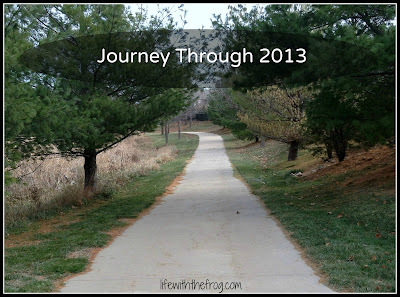 The other night Hubby, the boys, and I had a talk about resolutions and what they mean. I was hoping to illict responses from the boys about behaviors they'd like to improve this year (hey, a mom can dream, right??). But Hubby put a very interesting spin on the whole conversation thanks to a little book I picked up shortly after Joey died. Read the whole post here on Her View From Home.